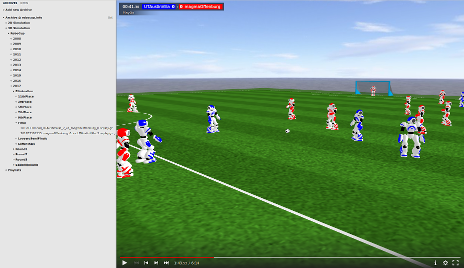 JaSMIn is a webgl based player for displaying soccer games from RoboCup Soccer Simulation leagues (2D and 3D) in a browser. Please take a look at the robocup.info archive for a live demonstration. It also supports the initial .replay file format produced by the GIBBS converter.